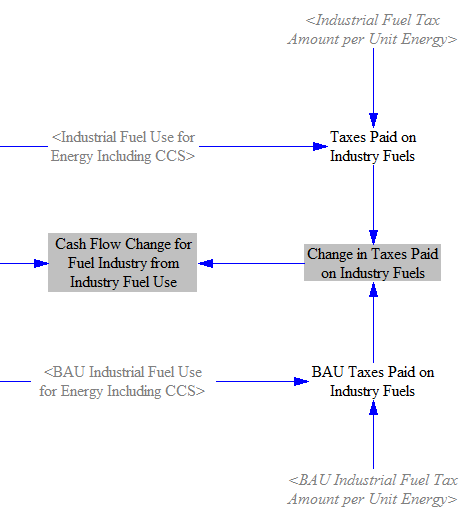 We sum up cash flow impacts on the fuel industry (by fuel), industrial equipment suppliers, government, other industries, and consumers. 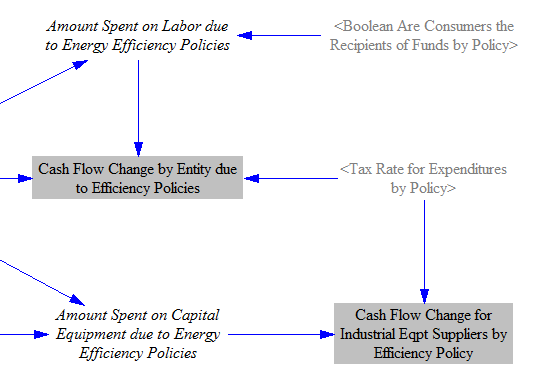 Note that although we adjust industrial production upward or downward in response to policy-driven changes in fuel cost and a carbon tax (as described on the main Industry page), we do not consider this adjustment in the cash flow impacts section. 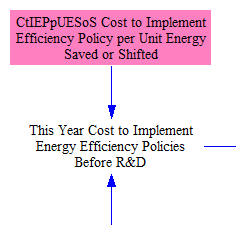 This is because the model only estimates direct costs and savings from policy implementation, not second-order or higher-order impacts on the economy. 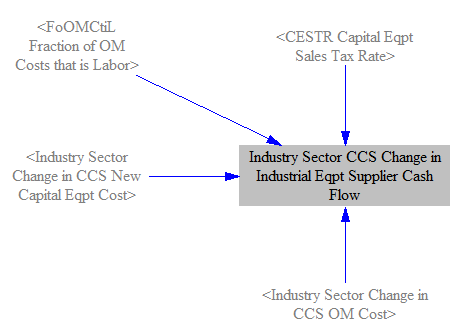 A reduction in output would reduce not only revenues but also expenses, so detailed knowledge of the internal business processes and supply chains of each industry would be necessary to understand the net impact on its cash flow. 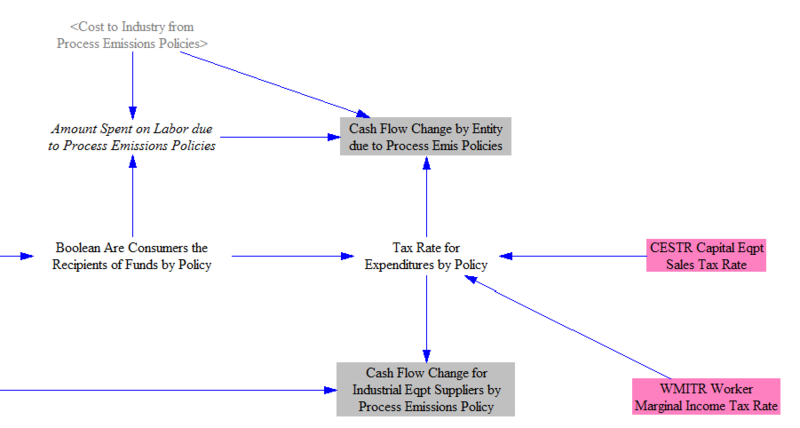 Additionally, it is unknown if a reduction in, say, iron and steel production would be accompanied by an increase in revenue of non-industrial sectors. (Historically, the U.S. economy has continued to grow even as much manufacturing has moved overseas, as workers and capital investment have shifted into other sectors, such as services.) Therefore, it is unclear whether the change in GDP would be positive or negative. 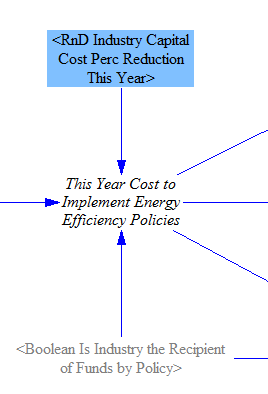 The Energy Policy Simulator (EPS) avoids speculating on any of these effects and confines its analysis to the direct cost of implementing policies, resulting fuel savings, etc. 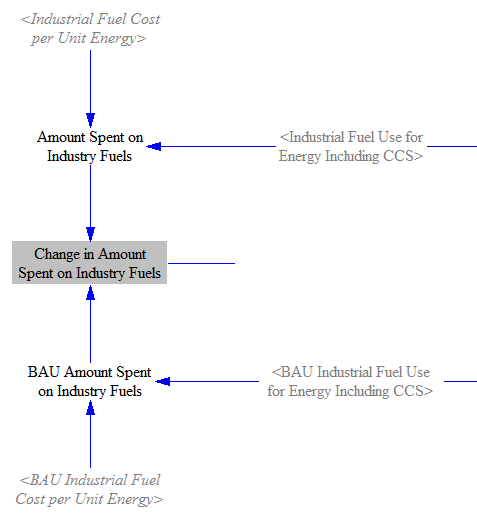 Note that the two calculated (non-input) variables in the screenshot above rely on mapping one subrange of the “Marginal Abatement Cost” subscript to a different subrange of that same subscript, so as to cause Vensim to loop through each element of the “Marginal Abatement Cost” subscript at each timestep. This is an unusual but powerful way to use subscripts in Vensim. 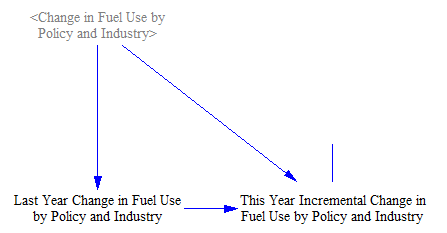 Note that we use the user-selected GWP timeframe here, under the assumption that when the user sets the carbon tax rate (in $/metric ton CO2e), he/she is setting that rate with his/her chosen GWP timeframe in mind. 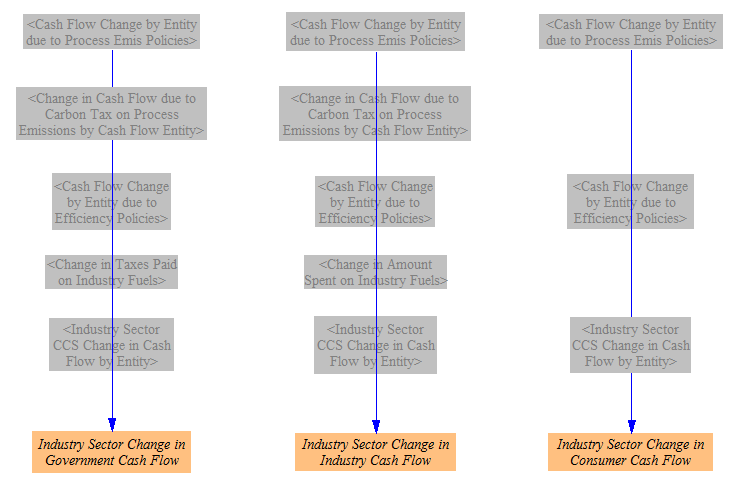 The change in Industry sector cash flow related to CCS has three components: differences in CCS capital equipment costs, O&M payments, and carbon tax reductions for sequestered CO2. 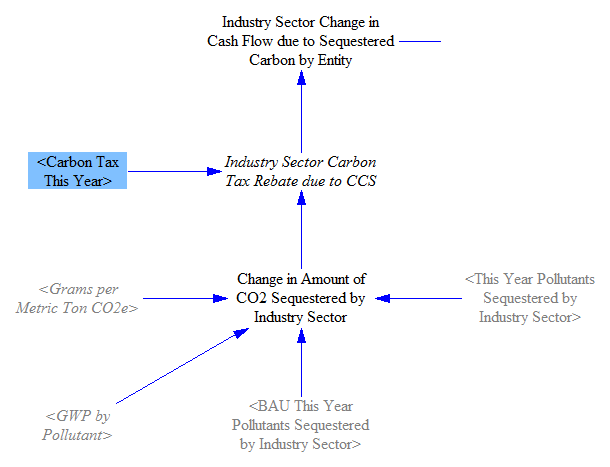 These three sources of change in cash flows (new capital equipment cost, O&M cost, and carbon tax rebate for sequestered CO2) are then summed to find the CCS-related change in cash flows for government, industry, and consumers. 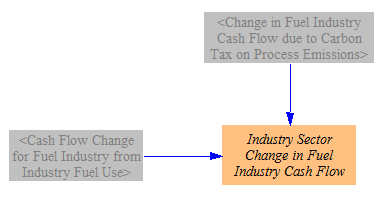 The Industry sector has so many sources of change in cash flows that we devote some space in the model simply to summing them up.